The Lenovo Ideapad Flex 10 is very much a 2014 netbook with its 10-inch screen and ‘value’ components but it adds two really useful features you would never find in a netbook of 2008. It’s completely fanless and it’s got a 270-degree fold-back touchscreen and ‘stand’ mode. Comparing it to a 2008 netbook it looks similar until you get the fact that touch can be really useful on a laptop, especially when it has this stand feature. 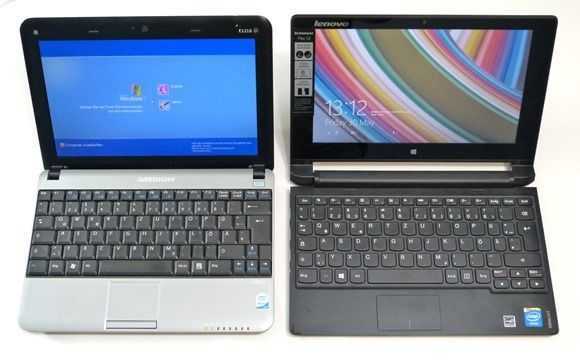 Medion Akoya (MSI Wind U100) from 2008 left, Lenovo Ideapad Flex 10 right. Overall we’re looking at a good build, good keyboard, acceptable 3-7hrs (5hrs video, 4hrs WiFi working) battery life and CPU performance that is about 2X what we were getting from a Netbook in 2008. 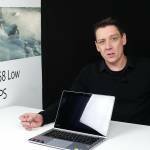 The graphics power is about 4x as good in the same comparison and as you would expect from any consumer computing device today, video playback performance is excellent. Corners have been cut on the non-IPS screen which is a weak-point compared to tablets of the same price but it’s OK for casual use. The big problem though, and this should not be a problem in 2014, is the hard disk. It’s slow and can lock-up the system if you’re not careful. 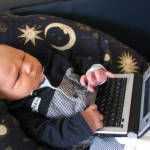 The first few days of use were terrible as Windows 8 updated, cached, indexed, scanned and installed. 320GB is useful if you want to carry a big bunch of HD videos and a full much collection but with the mainstream getting used to streaming services and 32GB smartphone storage a 64GB SSD would have been a much better choice. Even a cheap one. The question of an SSD upgrade hack will be raised at this point and I can’t say if it’s possible yet. It’s certainly not an easy-one to get apart but I suspect it’s possible. You’ll find a 2.5-inch SATA drive inside so slotting-in something like the MyDigitalSSD BP4 53GB ($60) should be easy once you get the unit open. The difference in usability performance should be very, very noticeable. I tested XMBC on this (Openelec via USB stick) and it was good (Video demo below.) Thinking about this as a fanless Linux box opens the mind. Forget any desktop gaming on the Flex 10. The GPU has about the same performance as the 8-inch Windows tablets on Baytrail-T but that slow hard disk means installation and start-up take forever. I gave up on that side of things and concentrated on Windows Store apps where the experience is much battery. Check out the full review for gaming tests. Tip: This is a great Wordament device! Speakers are poor and the trackpad is small and I accept that one could say that the Flex 10 has too many compromises but at 280 Euro (local street price including 20% tax – about $300) this is a great, flexible touchscreen netbook. 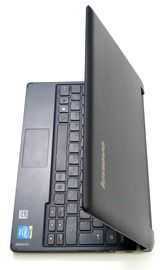 I can’t find another netbook that offers so much usability for so little money. 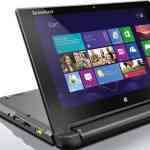 Touch, stand-mode, video performance and free Windows Office Home and Student. That HDD is an issue though (performance and ruggedness) and if you are thinking about the Lenovo Ideapad Flex 10 for some disk-heavy work please check reviews carefully and look out for SSD upgrade hacks. If you’re thinking of Linux, a fast USB3.0 stick install might be the way to go and for XBMC, it’s as good as you need right out of the box. For kids, the breakfast table, holiday and hotels it fits perfectly but again, be careful of that spinning, fragile, disk. 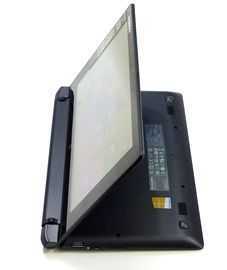 Now, Lenovo, you have a great design here with the Flex 10. Please go away and make a Flex 11 with IPS screen, quad-core Baytrail-M with Quick-Sync support, a 64GB SSD and 34Wh battery for $399 and as long as you keep it light I think we’ll be even more interested. XBMC / Openelec on the Lenovo Flex 10. 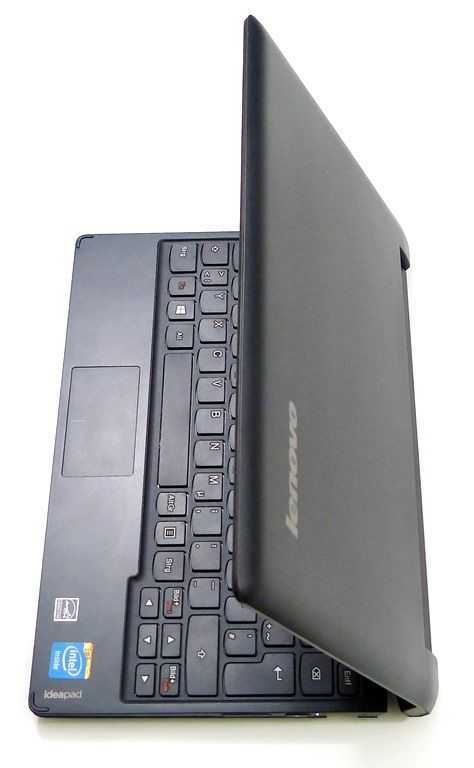 Lenovo Flex 10. Dual-Mode Touch with Baytrail-M Spotted. Agree with the review. Flex 10 is not good. « Acer Aspire Switch 10 #1 at UMPCPortal. First Review is available.